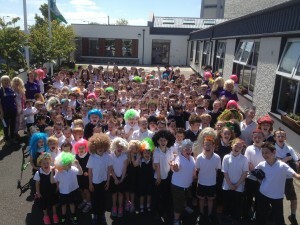 Staff and pupils at Ransboro National School recently enjoyed great fun as they modelled a wide variety of interesting hair creations for their “Mad Hair Day” in aid of Sligo Cancer Support Centre. From birds’ nests, cupcake creations, mohican styles and multi-coloured hair and wigs of all descriptions, the colourful display accompanied by the glorious sunshine added cheer and lifted spirits. The fundraiser was in support of a brave troop of cyclists, led by local resident Con Lee, who were cycling a round trip to Dublin, all for a wonderful cause – the Sligo Cancer Support Centre. This amazing local resource has provided invaluable support to so many who have found themselves facing and battling Cancer. 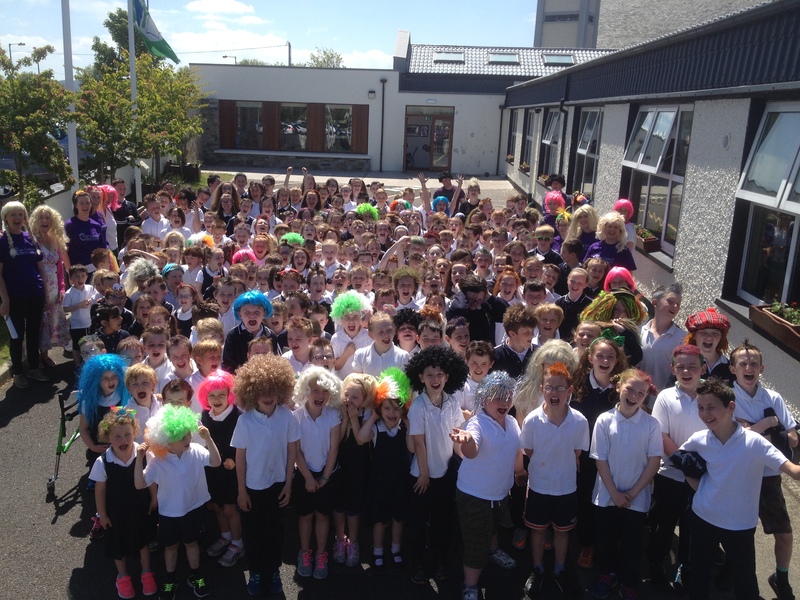 Ransboro National School were delighted with the “Mad Hair Day” outcome – a donation of €1,000 to the Sligo Cancer Support Centre. Sincere thanks and congrats to all involved and to pupils, staff and parents for the most generous donations!